Christmas deer antlers brown (boa) plush. Who wants to be a reindeer? 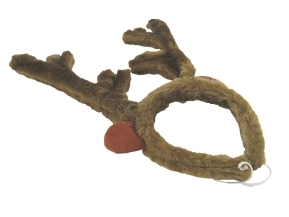 These all plush reindeer antlers are cute for kids and adults alike. Headband style with an elastic chin strap to keep them in place.